Cardinal Raymond Burke gave an extended interview with Christopher Altieri for "Thinking With the Church" about matters of controversy among Catholics. 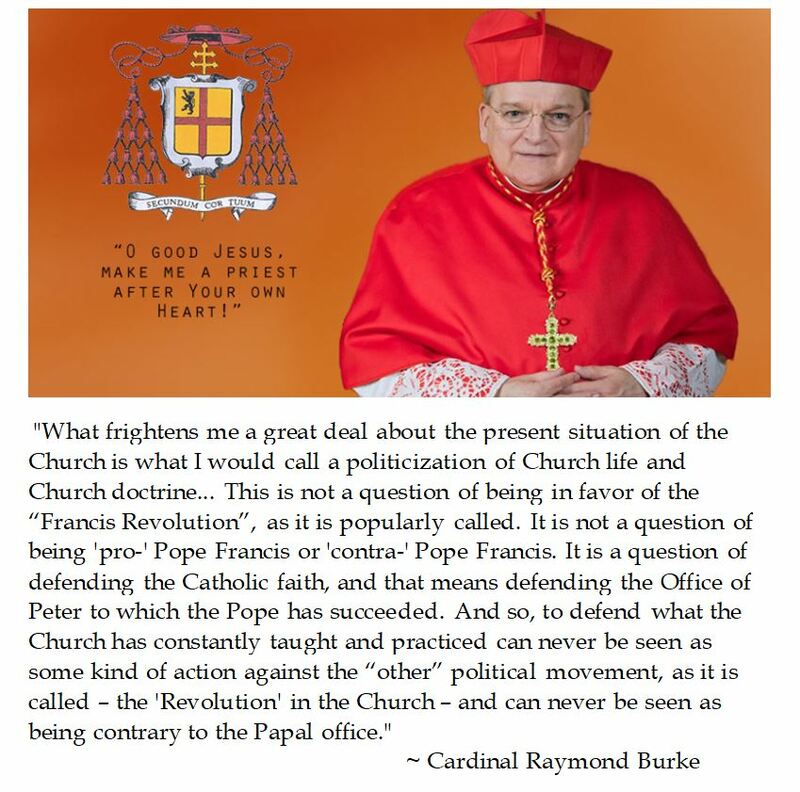 Burke's interview was recorded as a podcast and the transcript was published in the Catholic World Reporter. The Patron of the Sovereign Military Order of Malta expressed anguish that some consider his request to the Holy See for clarifications (dubia) about the apostolic exhortation Amoris Laetitia (2016) are motivated to create a schism in the Catholic church. Cardinal Burke is concerned that the interpretation and application of Amoris Laetitia contradict long standing traditional teachings on the Sacrament of Marriage. While Cardinal Burke scrupulously avoided ideological labels in his Altieri interview, he noted the Bishop of Malta's innovation regarding irregular second marriages, which clearly are progressive in nature. One of the characteristics of Pope Francis' reign is the injection of secular progressive politics into papal pronouncements. In Laudato Si' (2015), Pope Francis implored world leaders to approve the Paris Climate Change Accords. Pope Francis' visit to the Mexican-US border was a pointed ploy to champion open borders, counter to the platform of then candidate now President Donald Trump. Even Pope Francis' annual announcement for World Communication Day railed against "fake news". “A journalism created by people for people, one that is at the service of all, especially those – and they are the majority in our world – who have no voice,” A journalism less concentrated on breaking news than on exploring the underlying causes of conflict, in order to promote deeper understanding and contribute to their resolution by setting in place virtuous process. A journalism committed to pointing out alternatives to the escalation of shouting matches and verbal violence." A true faith ought to be challenged and should not be confined to the sanctuary of the Church. There is the danger , however, that the Catholic faithful are being shepherded to take sides on secular political issues which are outside of the aura of competency of the Petrine office) and sometimes seem counter to traditional church teachings). Those who object to this progressive polarization and stand fast to the Magisterium have increasingly been scorned, ostracized or dismissed as getting with today's program, even if the innovation is not magisterial. For example, Chicago's Archbishop Blase Cardinal Cupich interpreted Amoris Laetitia as being a development of doctrine which the Petrine office has loosened requirements when pastorally addressing irregular marriages. But the apostolic exhortation did no such thing. Paragraph 3 of Amoris Laetitia indicates that the document was not doctrinal and was intended to start the conversation. The controversy over Amoris Laetitia involves footnote 351 regarding Paragraph 305 which suggests that there might be some pastoral means of curing irregular second marriages. But Pope Francis has refused to answer dubia's regarding the implementation. 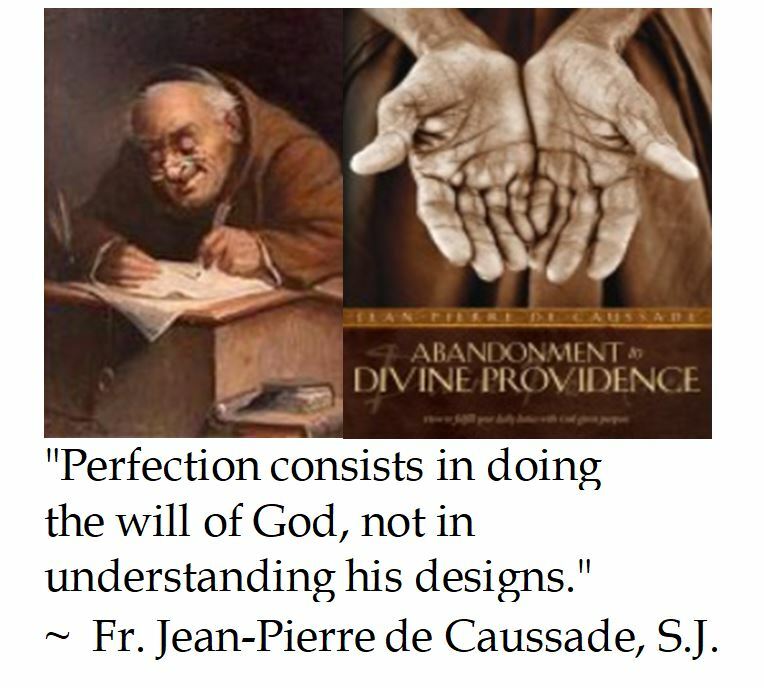 And progressive powers in the Church are attempting to steamroll their will, in a jesuitical manner, speaking with great force but not having the facts on their side. As we grapple with the politicization of Church life, we ought to heed 16th Century Lutheran theologian Peter Meiderlin's wisdom that we ought to have "[U]nity on necessary things, liberty on dubious things and charity in all things."